Hypertension, or high blood pressure, is one of the easiest medical problems for which to screen. Most patients have their blood pressure checked at every medical appointment, making hypertension very hard to remain undiagnosed. However, it can and does happen, and when this condition goes undiagnosed for a long period of time serious health consequences can develop. Pulmonary heart disease is among the most serious complications resulting from undiagnosed high blood pressure. In a normal heart, the left side pumps blood to the body while the right side delivers it to the lungs. As the entire body requires more blood than the lungs alone, the left side is left doing the majority of the work and needs to pump the blood at a higher pressure. In a heart struggling with high blood pressure, the right side of the heart needs to work harder to properly feed the lungs. When this condition goes on for too long, the heart is unable to fulfill its duties, resulting in pulmonary heart disease. The signs of pulmonary heart disease are not unlike those of other lung related issues, making it very important for the doctor to run tests in order to correctly diagnose the problem. Symptoms can include chronic fatigue, a feeling a breathlessness and an unrelenting cough.. Some patients also present with swelling in the lower legs, feet and ankles. A blue-hued discoloration of the fingertips, known as cyanosis, is also an indicator of pulmonary heart disease. Many tests are needed to accurately diagnose the condition. Chest X-rays, MRIs and EKGs are commonly ordered. Breathing tests to measure the performance of the lungs are also necessary while a full lung scan can also help lead to a diagnosis. Treatment includes diet, exercise and medication to help regulate the blood pressure. Oxygen is often prescribed to alleviate symptoms and increase the patient’s quality of life. Although physicians are trained to identify the symptoms of pulmonary heart disease, a diagnosis is sometimes made improperly. Doctors may fail to perform necessary tests or incorrectly interpret the results. Occasionally, medical equipment fails to work properly, resulting in a misdiagnosis. Failing to properly diagnose the condition can lead to severe complications including increased risk for heart attack and stroke, shock, fluid retention, and even death. When the doctor’s failure to properly diagnose the condition leads to further health complications for the patient, the patient could be entitled to damages. The award may come in the form of financial relief for medical bills, loss of work, and treatment required correcting the misdiagnosis. Damages may also be allocated for pain and suffering. Only an attorney can decide if a medical malpractice suit is viable. 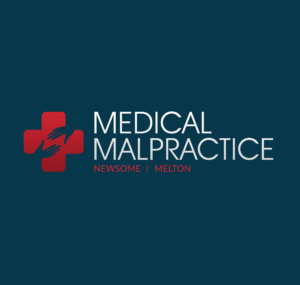 It is important to contact a medical malpractice attorney as soon as possible. When quality of life is affected as a direct result of a medical misdiagnosis, a medical malpractice attorney can help.